Instacart Shopping Service2015 – The Boston GlobeThe tipping controversy that prompted Instacart to reverse a compensation plan to its contract workers isn’t likely to go away: Rivals DoorDash and Amazon Flex are continuing to adjust driver pay based on how much they get tipped, saying doing so ensures a minimum payout. 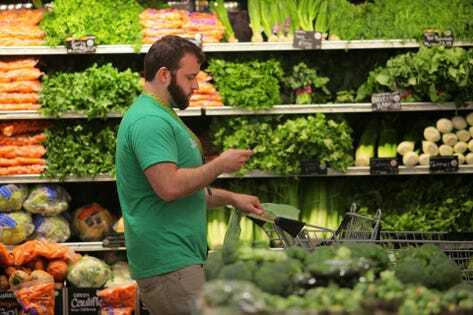 Instacart, a $7.6 billion grocery delivery company, made a change in October 2018 that workers would receive at least $10 per delivery order. Customers and shoppers didn’t realize that the tips were counting towards that minimum instead of being a bonus on top. So if someone tipped more, Instacart effectively had to pay less. That’s how one Instacart delivery driver ended up with Instacart only paying 80 cents and the rest of the minimum being met with tips. Eight states, including California where both DoorDash and Instacart are headquartered, have entirely done away with tipped minimum wage and require companies to pay waitstaff and servers the state’s minimum wage in addition to tips. Some states like New York are starting to push back and demand companies like Lyft and Uber pay a minimum wage to ride-hailing drivers. The backlash surrounding the delivery companies tipping regulation could just be the start of more policy debates to come on how to protect gig economy workers.